Property Turn are pleased to announce we are now Nest Pro installers. Some of you probably don’t know what Nest products are and how good they are. 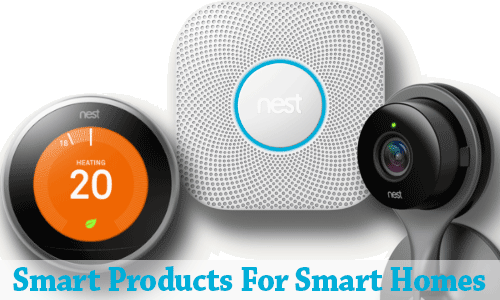 Nest products are the most beautiful and intelligent security products available on the market today. Back in 2014 Google bought the company for $3.2 billion. The Nest Protect smoke and CO alarm has an industrial-grade smoke sensor, tests itself automatically and lasts up to a decade. It’s also the first home alarm you can silence from your phone without any extra hardware required. The Nest Protect tells you what’s wrong and can even alert your phone. They also have a range of indoor and outdoor security cameras that protect your home 24/7, allow you to see what’s going on, alert you when they detect movement or sound and even allow you to talk to your pets at home, intruders or family members. All you need is a Nest app on your phone and from then on you are in full control. The Nest thermostat is simply an incredible product that learns your actions, knows how long it takes for your home to heat up and even knows what the weather is doing outside, knows when you are out and about and automatically lowers the temperature and remembers your actions such as when you go to sleep or wake up and adjusts the temperature accordingly. It also talks to other Nest products in your home and can shut down the heating system if Nest Protect carbon and smoke alarm detects fire.